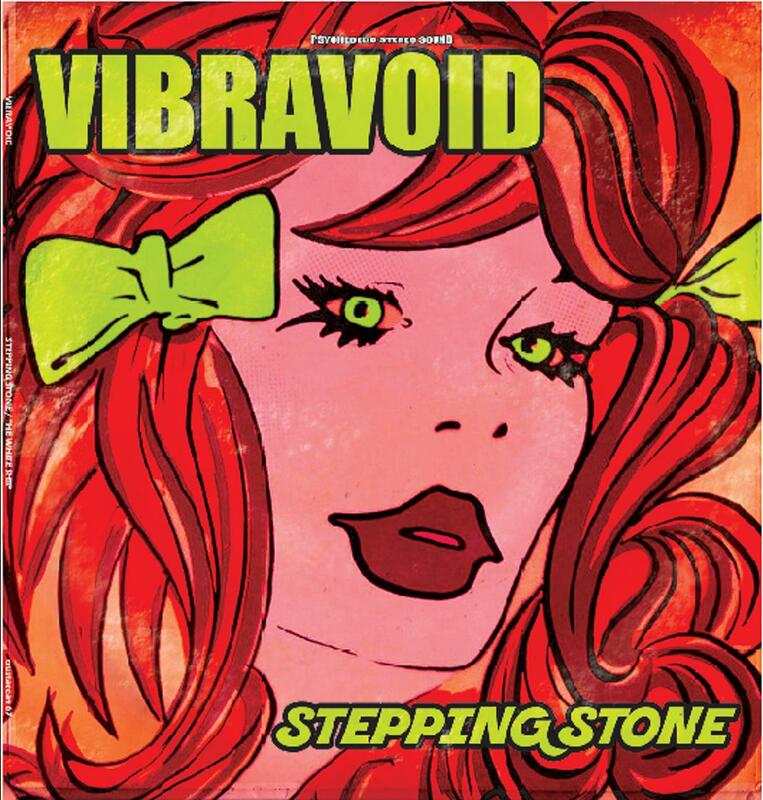 Germany’s premiere psychedelic band (and perennial Fruits De Mer favourites), Vibravoid will have you bouncing off the wall throughout their fuzz-infested take on the Raiders and Monkees classic, which comes off like a biker in a china shop. Highlighted by effects-laden guitars and treated vocals, it just needs a light show and some stage smoke to transport you back to the hazy heady ballrooms of 1966 San Francisco. The band break out the sitars and flutes for Traffic’s ‘Hole In My Shoe’, a faithful revisit to the flower power fave with a slightly updated spoken word segment housed inside a distinctly Pepper-ish arrangement. The flip delivers a hallucinogenic, wah-wahed, headswirling trip on H.P. Lovecraft’s ‘The White Ship’. Completists will want to score this new mix of the track that was originally issued on a 7” included with Greek psychedelic fanzine TimeMazine #6, (as well as their Gravity Zero album). It’s slightly slower and dreamier than the original, adding an aura of terror that will evoke eerie images of Flying Dutchmen and other phantom ships aimlessly wandering through pitch black oceans. The ominous, distorted vocals sound like ghost crews crying out for help … don’t listen to this one alone in the dark.